Municipal Heating Foundation Eindhoven (Stichting Stadsverwarming Eindhoven) is committed to fair conditions and rates for customers connected to municipal heating systems in Eindhoven. Research by the foundation has shown that energy company Ennatuurlijk has charged 3500 customers in Eindhoven for items which have not been agreed. You’ll find a summary of these items below. Ennatuurlijk charges most households with district heating an (interest-bearing and also indexed) ‘connecting contribution’ for 30 years. This is in addition to the one-off connection costs that have already been paid in order to connect your house to the heating network and on top of the annual standing charge (being the cost to maintain the connection). Households who built their house themselves have paid the one-off connection fee directly to (the legal predecessor of) Ennatuurlijk. In the case of so-called ‘project build’ homes these costs were included in the purchase price of the house. The mentioned ‘connecting contribution’ has not been agreed with the households. The damages sum up to approximately 5,000 euro per household (both property owners and tenants). The heat tariff which Ennatuurlijk charges, is supposed to copy to the ‘Not More Than Otherwise’ (Niet Meer Dan Anders) principle. Which means that the average yearly costs for heating your home with municipal heating is not allowed to be higher than if you would heat your house using a gas-fired heating system. Ennatuurlijk has chosen to base their tariffs on an expensive, not market conform gas price. Besides that, Ennatuurlijk also chooses to fill in other unfavorable values for different parameters which make up the GigaJoule tariff. Ennatuurlijk assumes that a house connected to the municipal heating system has less heat loss (in the internal installation of the house) in comparison to a gas-heated house. Ennatuurlijk charges this assumed difference, even though the differences in heat leakage in the internal installation between a municipal heating and gas-heated home have not been proven. Ennatuurlijk claims to have charged a so-called ‘rentabiliteitsbijdrage’ when the house was being built, as part of the one-off connection fees. In many cases it is not clear that the ‘rentabiliteitsbijdrage’ was being charged, as it is not specified on the quote or invoice. Charging the ‘rentabiliteitsbijdrage’ is optional. It is only possible to charge the ‘rentabiliteitsbijdrage’ when not all energy saving measures have been implemented on the house, that would have been required on a house with a gas-fired heating system. The reason for this is that municipal heating systems are considered to be better, because heat from industrial processes is reused instead of thrown away. That is why the government has appreciated municipal heating systems with better energy yield (opwekrendement) figures. Charging the ‘rentabiliteitsbijdrage’ helps the energy company to finance the higher costs for implementing the municipal heating network. This is only allowed when the customers get a discount on the heating tariff. After all, their houses have been fitted with less energy saving measures (isolation) than their gas-heated counterparts. Ennatuurlijk does not give us a discount on the heating tariff. 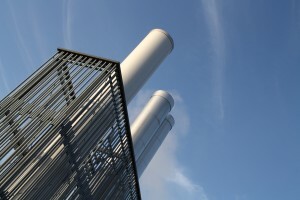 The municipal heating network in Meerhoven operates with lower temperatures compared to other municipal heating networks. To get the same comfort level, larger radiators need to be installed. Larger radiators are more expensive, to compensate for these extra costs, a discount on the connection fee was negotiated. The year after Ennatuurlijk signed the contract with the gemeente Eindhoven, Ennatuurlijk silently removed the discount. We think that we are still entitled to the discount. Since the 1st of january 2014 Ennatuurlijk is charging 85 euro per year for providing the ‘Afleverset Warmte excl. Warm tapwaterapparaat’. According to Dutch law, they are allowed to charge rent for a heat exchanger, if that heat exchanger is their property. In many cases the heat exchangers are property of the home owners or are rented from another company (often Q-energy or Kemkers). For people that do not pay their heating bill using ‘automatische incasso’, service- and administration costs are charged. This is being done even though a judge has said that it is not allowed. Households who want to cease the heating service (because they have decided to heat their home in a more economical or environmentally friendly way) are confronted with cease charges (of up to 5000 euro), while it is legally not allowed to charge a ‘penalty’ for ceasing a service. New inhabitants are being forced to connect to the heating network of the gemeente Eindhoven when they wish to build their own house in Meerhoven. This also happens when the new inhabitants do not need the connection to the heating network and wish to heat their home differently. Based on the wrongdoings listed above, we have calculated that Ennatuurlijk overcharges at least 35%. This adds up to 18 thousand euro over 40 years (based on 2015 costs), or an average of 450 euro per year. Discussions with Ennatuurlijk have not yielded the desired result. Also local and notional politics have shown to be uninterested in addressing these issues. Therefore we have little choice but to resort to legal action.